The meaning of Authenticity has somehow become reduced in the collective consciousness, to something that is “without a mask”, something that is not processed through. This is a partial understanding, that barely touches the gifts of Authentic Authenticity. Listen to this beautiful and important “download” that will expand your perception of Authenticity – what is able to bring you closest to who you really are. 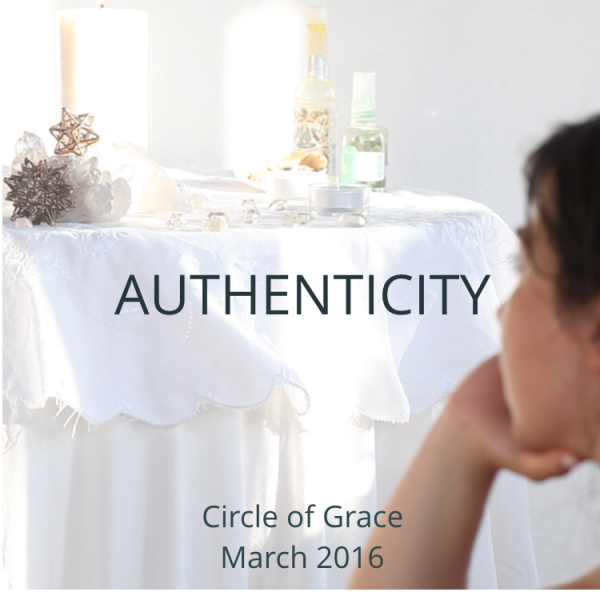 An ‘In the Circle of Grace’ recording, March 2016, Portugal. Thank you dear Homaya for this wonderfull sharing and download ! As you explain, there are lot of people who are confused about this topic, and the definition of authenticity. So was I, until I watched your video ! To be authentic was for me a reactive way to express myself towards the outside. Thanks to you, I now realise and feel that authenticity is not about outside, it’s about inside, my inner space, my inner flow. And that’s someting VEEERY peacefull … Thank you !! Thank you beloved. The circle of grace is all about facing our convictions and misconceptions from the eyes of the ONE.